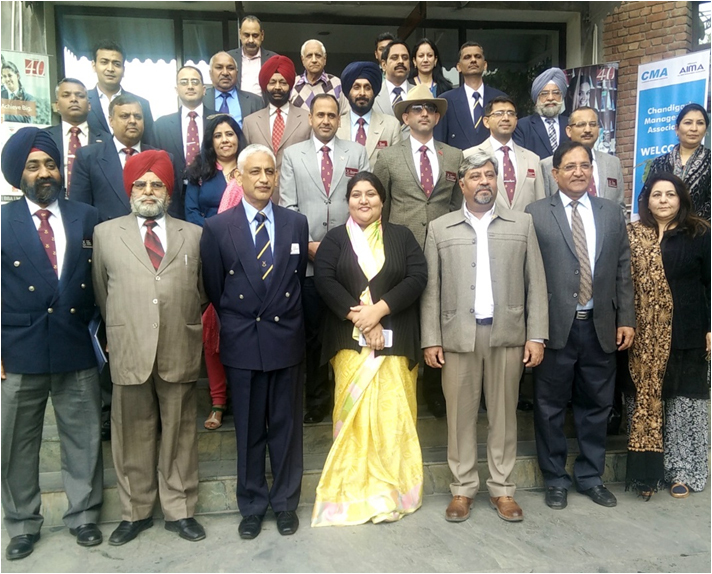 CMA organized a session on “Identification of risks in project management” at GJIMT, Mohali on 15th December 2016 for the visiting delegation from The College of Defence Management (CMD), Secunderabad. Mr. Deepak K Dhingra, Secretary General, CMA was the key speaker. He briefed the essentials of Project Management before the identification of risks in Project Management could be discussed. The process of identification of risks associated with projects, their expert analysis and the best control processes were discussed in detail with examples. Mr. Dhingra stressed that when it is not possible for the management to control all the risks arising to the project, it should essentially be mitigated for minimising the risk, which may necessitate modification in the project to adopt or absorb the risk.